Costs INR 1.5 lakhs over the donor vehicle. 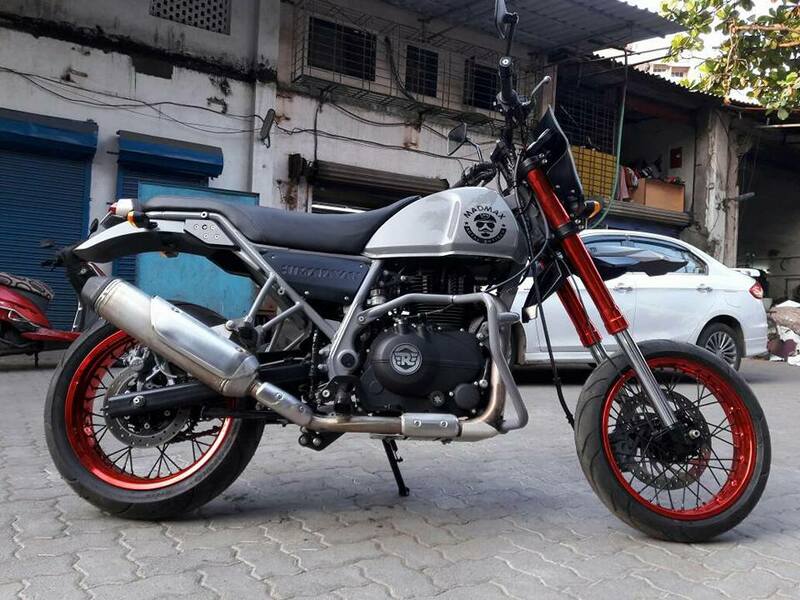 The adventure tourer Royal Enfield Himalayan has been given a funky makeover by Mumbai-based Transfigure Custom House. Named as Project Madmax the bike flaunts a go anywhere look just like the vehicles in the namesake movie. Royal Enfield Himalayan Madmax by Transfigure Custom House gets a suspension system borrowed from the Husqvarna 450TE. The Royal Enfield Himalayan Madmax has been given a new front suspension fork borrowed from the Husqvarna 450TE. The dirt bike’s long travel suspension, not just makes it look so different, but will hopefully boost the comfort levels to a great extent. The bike is painted in grey while the wheels have been given a glossy red finish. The spokes have been custom made. The registration plate has been removed from the stock position and is now placed below the taillamp. The headlamp has been given a LED treatment to compensate for the stock motorcycle’s halogen bulb. The front mudguard has been positioned higher up and the new engine guard gives the Royal Enfield Himalayan Madmax a wicked appearance. The instrumentation, engine tune and indicators remain the same while the tyres have been sourced from Shinko. the stock exhaust canister is also unchanged. Royal Enfield Himalayan Madmax by Transfigure Custom House also gets a new headlamp and Shinko tyres. 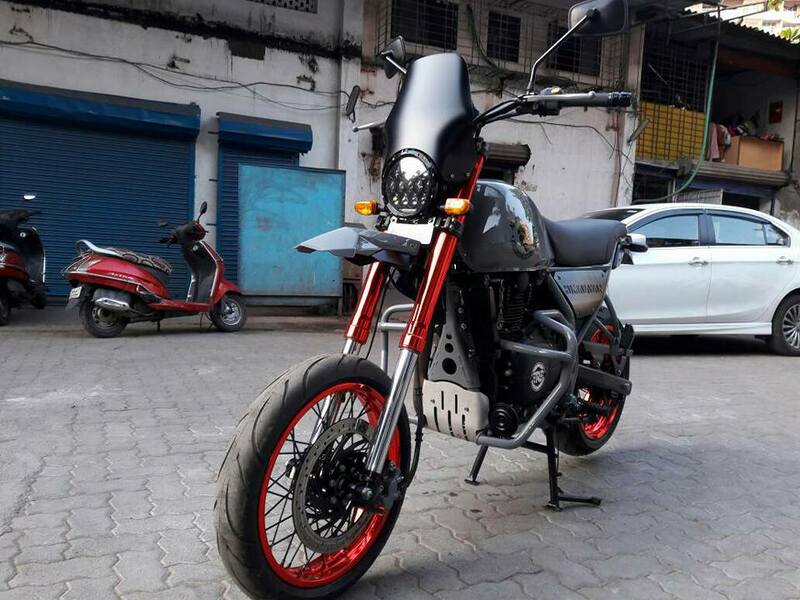 The Royal Enfield Himalayan Madmax by Transfigure Custom House has a cost price of around INR 1.5 lakhs, over and above the cost of the donor bike.